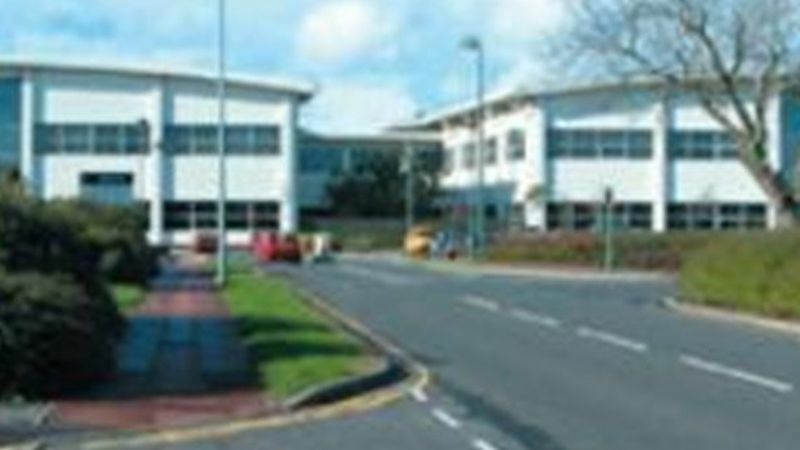 A two storey purpose-built call centre benefiting from a fitted kitchen with 160 seat restaurant, dedicated reception, air conditioning, gas fired central heating, two 8-person passenger lifts, raised floors, 800 kVA Liebert UPS system, 300 kVA Perkins Generator fed via 20,000 litre underground diesel tank, Mitel FX 2000 TDM PBX telephone, switch system and 157 car parking spaces. The building is suitable for immediate occupation as a call centre or high quality offices. Location: Bracken Hill Business Park is located adjacent to the A19 and approximately 8 miles east of the A1(M). Peterlee is located between the Tyne & Wear and Teesside conurbations offering excellent road links to Newcastle, Sunderland, Middlesbrough and Durham. Terms: Available by way of an assignment or sublease of the current lease which expires 1 August 2009. Available at a passing rent of £10.44 ft². New leases may also be available.